Having a high-end looking home can be difficult, especially if you have a tight decorating budget. Fortunately, there are ways – even on a budget – that you can get the high-end look you dream of. Interior designers have shared a few secrets over the years that have given homeowners some insight on how they can make their home look elegant without breaking the bank. From adding pillows and a fresh coat of paint to window treatments and hardwood floors, these are simple solutions you need to know about. Here, you will discover ten of the simplest and least expensive ways to make your home look elegant. Take the time to keep reading – you just might be surprised at these simple tricks to fooling your guests into thinking you live a high-end life. Paint color is perhaps one of the most difficult decisions to make when decorating a room, especially when the remaining décor will be based on the color palette. However, if elegance is what you are after, there are certain colors that add instant glamour to your home. Choose one of these two color options—bold and dramatic OR soft, understated hues. These hues allow you to add instant elegance to your home. It simply depends on your color personality in terms of which option you choose. Painting interior doors black is another great idea. It automatically creates an expensive feeling, without causing much damage to your wallet. If you choose this option, however, be sure to add some black accessories to the space to tie the overall design together. Pillows throughout your home serve two purposes. One, if they are chosen correctly, they can really punch-up the elegance factor. Two, they provide your guests with a little extra comfort on the couch and offer a cozy, layered feeling to your rooms. The comfort aspect speaks for itself, that is if you choose pillows that are large enough to rest on, and soft. Speaking of size, you want to avoid the standard 12 to 18 inches for a throw pillow. Instead, choose something larger, such as a 22-inch pillow cover stuffed with 24-inch inserts. When selecting window treatments you want to make smart choices. For instance, choosing unlined flimsy materials look terribly cheap, even if they are the least expensive option. It is recommended that you avoid see-through materials. This does not mean that you can’t buy off-the-rack curtains. A lot of chain stores offer lined draperies that appear elegant and expensive —even though the price is right. When it comes to window treatments stick with elegant materials such as natural silk, linen, and cotton (polyester or man-made fabrics usually look cheap). If draperies are not for you, then try woven bamboo shades or wood blinds. Just be sure to dress your windows—they ensure your home looks elegant and well-designed. Smaller hardware stores, flea markets, and antique shops are the best places to look. You can find heavy-duty, expensive- looking drawer knobs and pulls at a much more affordable price, giving your home the elegant and unique look you desire. Most contractors will choose standard lighting fixtures, which are probably the same they have used over and over again in all the homes they have built. However, designer light fixtures will add more elegance to your home than the standard chandelier. Fortunately, there are a few tricks you can use to get the high-end look without the high-end price. Start by looking at flea markets and second-hand stores. You will get a unique piece at a budget-friendly price. Or try this bloggers trick of adding a drum shade around an old chandelier to get the custom look everyone is craving right now. Some pieces may require a little buffing or a new paint job but can look like a million dollars for just a few bucks. In addition, be sure to have several different light sources, including table lamps and floor lamps throughout the home to increase the elegant feeling. Purchasing hardwood for your home will be an investment, but it is definitely a wise one. Hardwood lasts a long time, and provides a nice return on investment, especially if you ever resell your home. Laminate is another option, but be sure to buy the best laminate on the market to ensure lasting quality. In fact, if it is a choice between laminate or plush carpeting, we say choose the plush carpet. To get the most for your money, you will want to look at different types of wood, as some are more expensive than others. For example, birch and oak are usually less expensive than cherry. Also, consider choosing a dark color for a more luxurious appearance, but be sure to add a few area rugs to tie the overall design of the room together from floor to ceiling. Most average homes lack the necessary accessories to really bring that elegant touch to space. While many may use the excuse that accessorizing would over-extend their budget, the exact opposite is true. There are many affordable ways to accessorize your home while staying within your budget, especially if you think gold. Gold is associated with wealth and riches, and can instantly create an elegant feeling, as long as there is not too much gold in one space. Accessorize with gold picture frames, gold mirrors, or one of the new, modern gold-legged tables that are appearing in designer showrooms. The savings on the furniture still allows you room in the budget to get the items reupholstered, giving you a high-end designer look at a fraction of the cost. Surprisingly, one of the most affordable ways to make your home look elegant on a budget is actually free. All you need to do is clean and declutter your home. Weekly dusting and vacuuming can actually make your home feel high-end. Secondly, cleaning allows you to take care of stains and spots on area rugs quickly, keeping them from being damaged and shabby-looking. You can always go for cleaning service NYC and hire professional cleaners who will get the work done for you without the stress and hassle. Lastly, regular cleaning allows you to avoid clutter in your home. 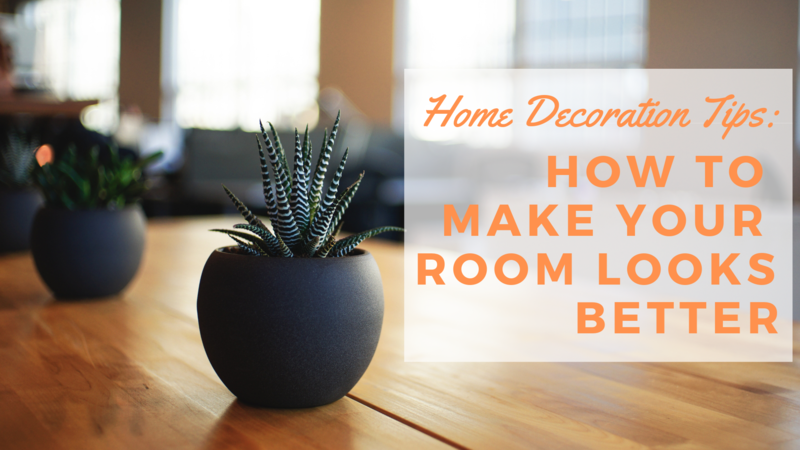 Not only do you feel better about your home, but it allows the other elements – pillows, accessories, paint, lighting, and flooring – to really stand out. About the Author – Jacky Xu is the Chief Operating Officer for MaidSailors.com, the # 1 deep cleaning service NY. Maid Sailors take pride in providing unparalleled cleaning services at affordable prices. Maid Sailors help transform your house into a home.